How To Find A Pet Sitter… Quick! There are a handful of great websites devoted solely to pet sitting and overnight boarding for dogs. Through some of them, you can also find specific services like house sitting, walking your dog, grooming, dog training, and more. Here’s how to find a pet sitter… fast! #1 – Pet Sitters International is one of the best, in terms of the number of services provided. I checked all of the dog-related pet sitters that were listed in my zip code, and they all look pretty legit. You can save yourself some time by NOT checking any of the “services offered” boxes. Instead, just select “dogs” at the top, along with your zip code at the bottom, and see how many places come up. From there, it’s easier to pick & choose the one(s) that seem to fit your overall needs best. It’s also a faster way to get an overview of the number and type of services that are available for dogs — right in your own area. #2 – You can find a pet sitter who is a certified professional here: National Association of Professional Pet Sitters. There were quite a few listed in my zip code. And most of them are different from the pet sitters who appeared in my search at Pet Sitters International (above). 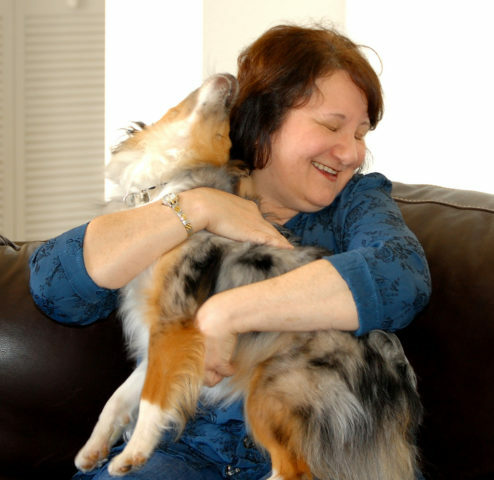 #3 – I found even a few more pet sitters in my area at Pet Sit USA. #4 – Rover is another great pet sitters directory. You can quickly find pet sitters in your area, and select whether your dog is looking for a place to stay over, or if he prefers to stay at home.